I have often been asked about the necessity of vitamins for hair growth. Poor nutrition is one of the most common causes of hair loss that is easier to treat and get over with. With some causes, like medication and medical treatments, you need to stop the medication to stop the hair loss. But, what if you can’t stop the medication because it’s a matter of life and death? Worrying about a side effect like hair loss seems so trivial, doesn’t it? The best hair restoration solution in this case would be to have a diet that provides all the essential vitamins for hair. However, if the cause of your hair loss is simply a matter of being on a crash diet or being sick and your body hasn’t yet regained its normal efficiency, then the condition can be resolved through the intake of a few fortifying vitamins.In fact there are quite a few vitamins for hair growth. At the very onset of hair loss, you need to immediately start treatment. Prevention at the earliest stages may be the easiest thing to do. Don’t wait until you’re experiencing excessive hair loss before you visit a doctor because all the early treatments may no longer be applicable to you and you may have to resort in surgery to replace all the hair that’s been lost and will never grow again.Vitamins for hair loss treatment should be considered when your diet is deficient in providing your body with the essential nutrients necessary for hair growth. 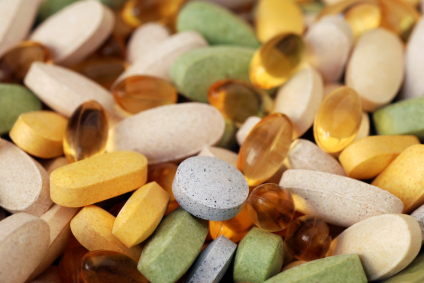 So what kind of vitamins can help prevent and treat hair loss? First, Vitamin E is always a good choice as a starter vitamin. It’s known for its regenerative properties focusing on cell renewal. It’s also easy to acquire and ingest. They come in many forms, like tablets and capsules, either as a stand-alone vitamin or part of a multivitamin food supplement. The Vitamin B family is also a favorite for preventing and treating hair loss. You may find Vitamin B in eggs, milk, fruits and fish. Vitamin B is known for improving blood circulation to your scalp, prevents your hair from graying prematurely and Panthenol especially works to help regrow hair. What’s also important about Vitamin B is that it’s water-soluble so it’s easily digested and so it doesn’t build up in the body. A combination of the other vitamins will not only boost your body’s immune system but will also make your hair healthy from the inside. Though there are hair products that are said to contain vitamins, they will not be able to prevent hair loss. What they do is simply enhance the shine and bounce of your hair plus the coating on your hair also strengthens your hair against further damage. Stay healthy by taking vitamins.In fact essential vitamins for hair growth not only corrects hair fall and hair thinning, it keeps you healthy too.So stay away from crash diets. Live healthy. Your hair will be healthy too.